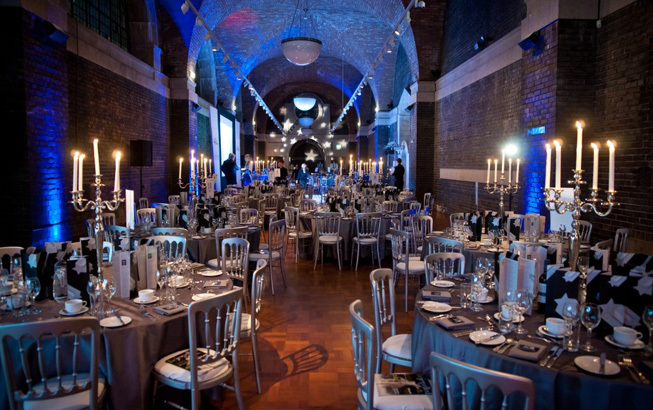 The magnificent Crypt Hall, with its soaring brick buttresses, vaulted ceiling and dramatic entrance staircase can seat up to 300 guests for dinner. It houses a fully equipped bar and has access to an adjacent kitchen. The Hall’s adaptable lighting also makes it ideal for exhibitions and academic use.